Love this so much. I hope I get some painting done in the last 2 days of the challenge. This is amazing Kim. 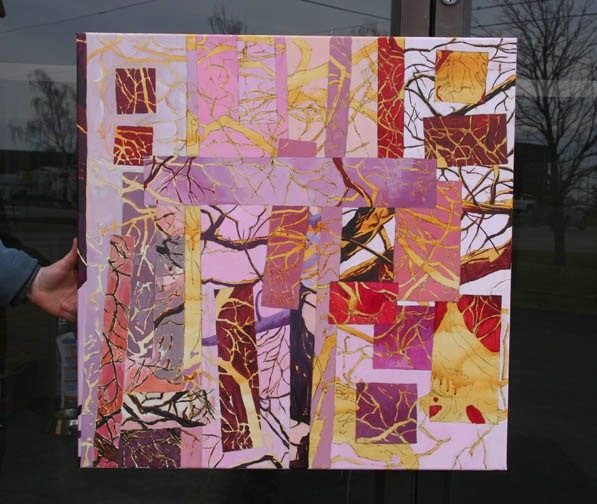 Are you collaging pieces of canvas or is it all "just" painted? I can't tell from the photo, I like he result very much Kim! 3 Paintings / 5 Days Challenge. Day 3.